Looking to treat yourself? If just the sounds of the nearby ocean aren’t doing it for you, then head out to one of Rhode Island’s incredible spas for an experience that your body will thank you for. You’ll leave feeling rejuvenated and comfortable, and ready to take on whatever waits for you at home—because everyone deserves a little luxury in their life. Regulars love coming back time and time again for facials and massages with their favorite masseuses. You will be greeted at the door by a talented specialist, and sip on tea as you wait. This spa experience is bound to complement any Newport trip. From the moment you walk in, you’ll quickly notice the peaceful ambience that surrounds the Bodhi Spa. Visitors love the spa’s water journey, reminiscent of a Japanese bathhouse, which guides you from room to room with different types of pools and saunas that detoxify and rejuvenate your body. 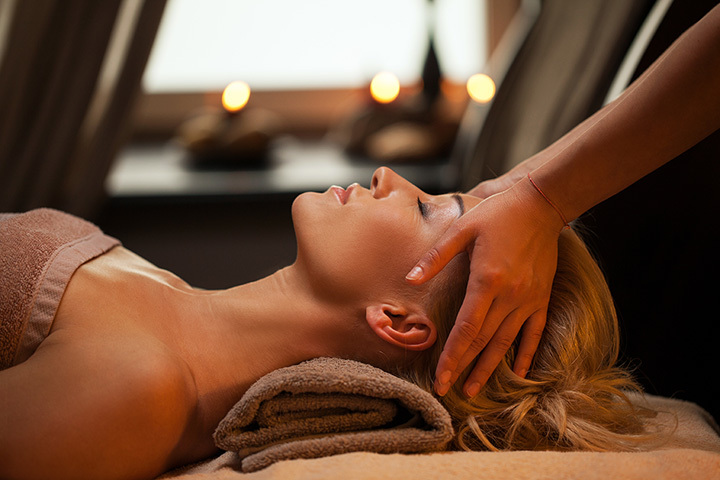 Located in Wayland Square, Citron is the perfect place for a spa day. The manicure and pedicure area boasts an interior like no other, constantly filled with a light, pleasant smell that will put you at ease. Grab a complimentary mimosa while you wait in the reception area, too. Students can also receive 20 percent off of all services. You’ll feel as if you’re the only customer at the Providence Biltmore’s spa, which provides incredible service tailored to your needs. As soon as you walk in, you’ll be escorted to a relaxation and changing room, which leads into a Zen room. Enjoy one of their extensive services such as a couple’s massage or facial. The Break is Narragansett’s first boutique hotel, with a self-described “retro-chic surf vibe.” That same energy fills their spa—an ideal spot to put your body at ease. Enjoy one of their signature therapeutic massages, designed by a therapist to restore your body where it needs help, or indulge in a 60-minute full-body exfoliation. A salon and spa, JF3 knows how to do luxury to the fullest. Recharge your body with a facial, which will leave your skin full of healthy minerals and proteins, or try a firming facial, which can be used as an alternative to surgical methods to repair your skin from overexposure to the sun. All that, plus manicures, pedicures, spray tanning, and hair services, await you at JF3. Eliza Williams knows that the details in your experience make all the difference. One step in the door and you’ll instantly feel calmer. The facials here are so incredible that even those with problem skin will walk out feeling completely fresh. You won’t want to leave this luxury location. This all-inclusive spa is perfect for an individual day of treating yourself, couples’ services or a girl’s day out. The spa was recently renovated, making it an even more beautiful setting for enjoying a massage, getting a manicure, and maybe even taking a nap in one of their great relaxation rooms in between. Want to spoil yourself? Spa Mosaic is South County’s best location for waxing, facials, and massages. Their staff will take care of you from beginning to end. Locals love their salon, too, and have come to rely upon it as the only location they trust with their hair. Whether you are an expecting mother, a nine-to-fiver, or a couple, Harmony has the massage for you. Additionally, Harmony aims to provide massages to all who need it through their Hearts and Hands program, which makes Harmony an inclusive place for those who are not able to pay the usual price of a massage.